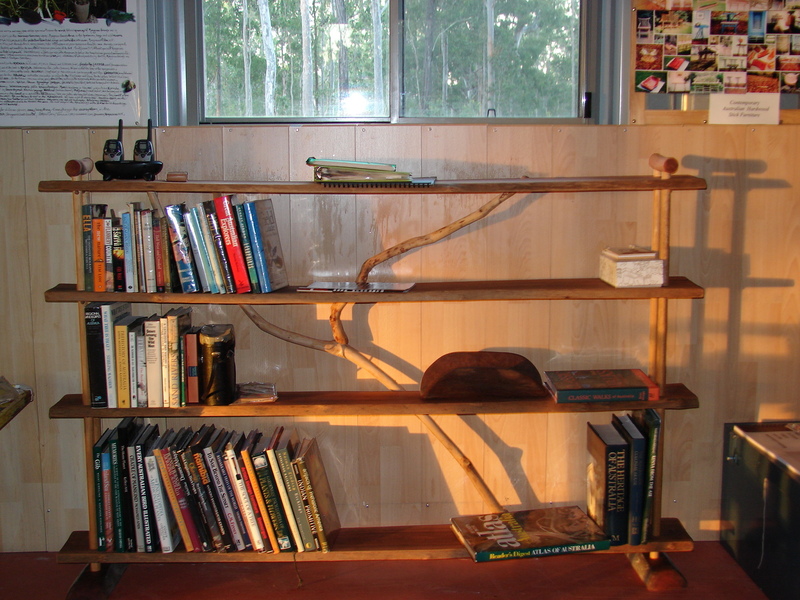 End view of a rustic bookshelf with the natural flaws left in the finished product. 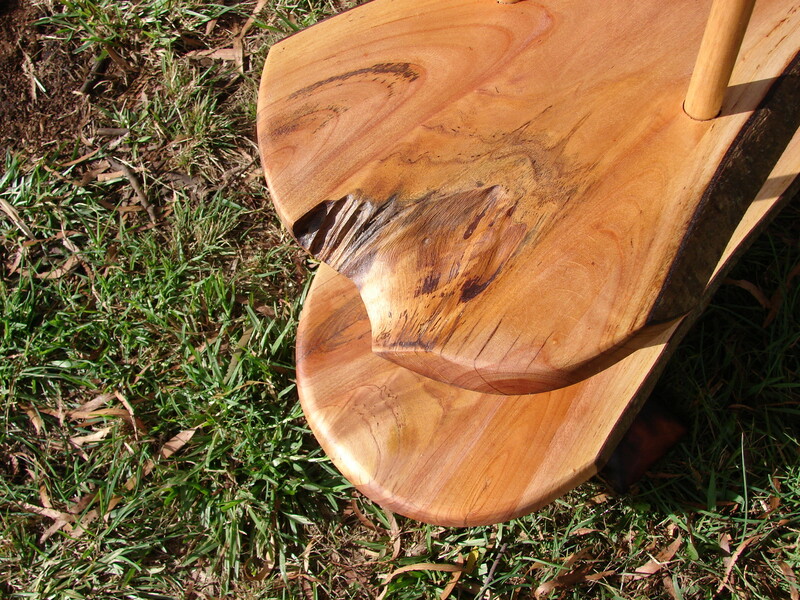 Hand-whittled gum stick and Camphor Laurel slice Book Hutch finished in Beeswax. Crafted from an original design by the author. Waxed Grey Gum Bookshelves which look good in a country weekender. 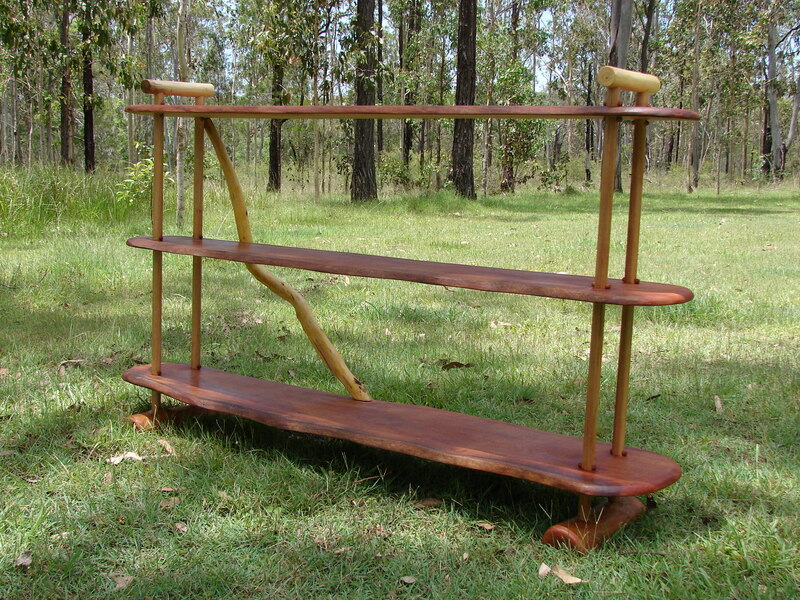 Contemporary Ironbark bookshelves which can be dismantled and flat-packed for transport.